The Languages Commissioner of Nunavut is an independent officer of the Legislative Assembly appointed for a five-year term by the Commissioner of Nunavut on the recommendation of the Legislative Assembly. 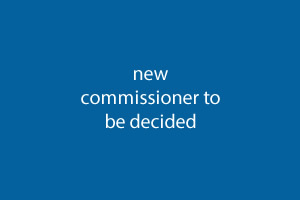 We are in the process of recruiting a new commissioner. The official languages in Nunavut are Inuit language, English and French and we have two language acts: the Official Languages Act(OLA) and the Inuit Language Protection Act (ILPA). The OLA sets out service and communication requirements for the official languages. Members of the public have the right to communicate with and receive services in the official language of their choice from the Government, the public agencies, the Legislative Assembly and the Nunavut Court of Justice and other tribunals. These obligated bodies are to provide an active offer and ensure members of the public can receive services from or communicate with these offices in their official language of choice. The obligation for municipalities as well as the private and public sectors, including federal and territorial institutions, to communicate and offer services in the Inuit language.